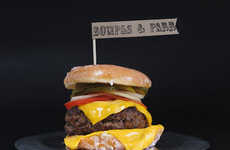 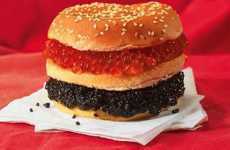 Joe and Iman El-Ajouz may have cooked their way into the Guinness Book of Records with a monster 198-pound hamburger. 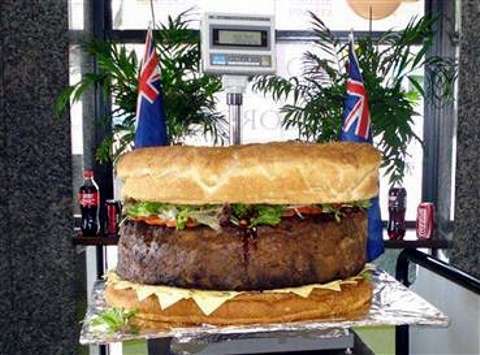 The world’s largest monster burger breaks the standing record of 185 pounds that was set in Michigan, USA in 2009. 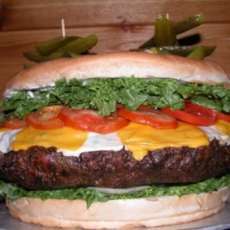 Some 180 pounds of minced meat is held together with 120 eggs, sandwiched in a 45-pound bun and garnished with over four pounds of lettuce and sixteen tomatoes. 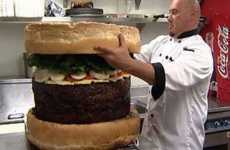 The 198-pound hamburger was topped off with about a pound of barbecue sauce. 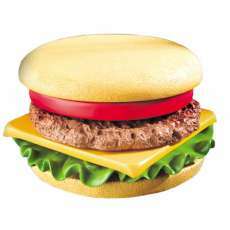 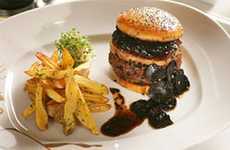 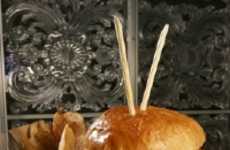 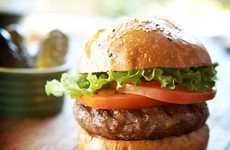 The burger will be on the menu over the next year and sell for about $1,200.